Like most of the Kannadigas, I am a coffee lover. Everyday, I wake up completely only after I have a large cup of coffee. As a matter of fact, I firmly believe in the café coffee day caption- A lot can happen over coffee. 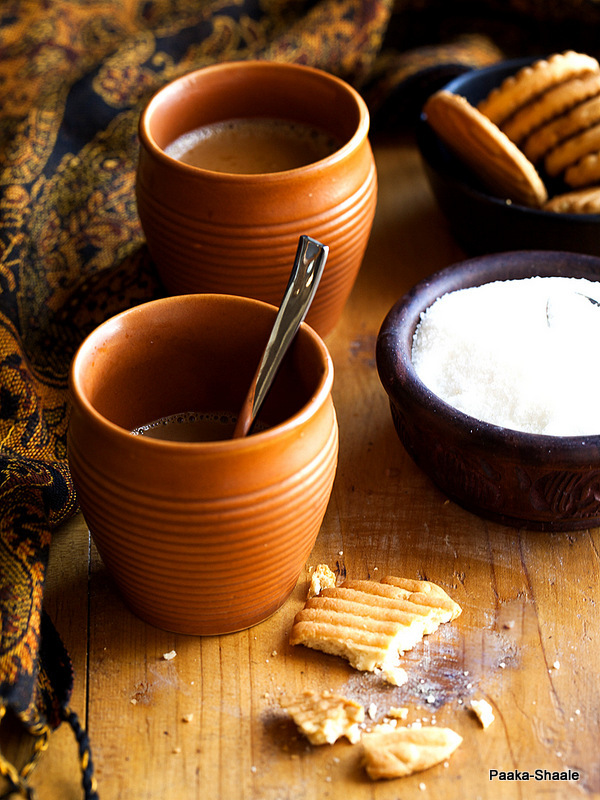 Despite my undying love for coffee, every once in a while, I crave for the humble ginger tea. More so, since the past few days, when I was going around with a blocked nose and a sore throat. During those days, this beverage proved to be an elixir to my sore throat. 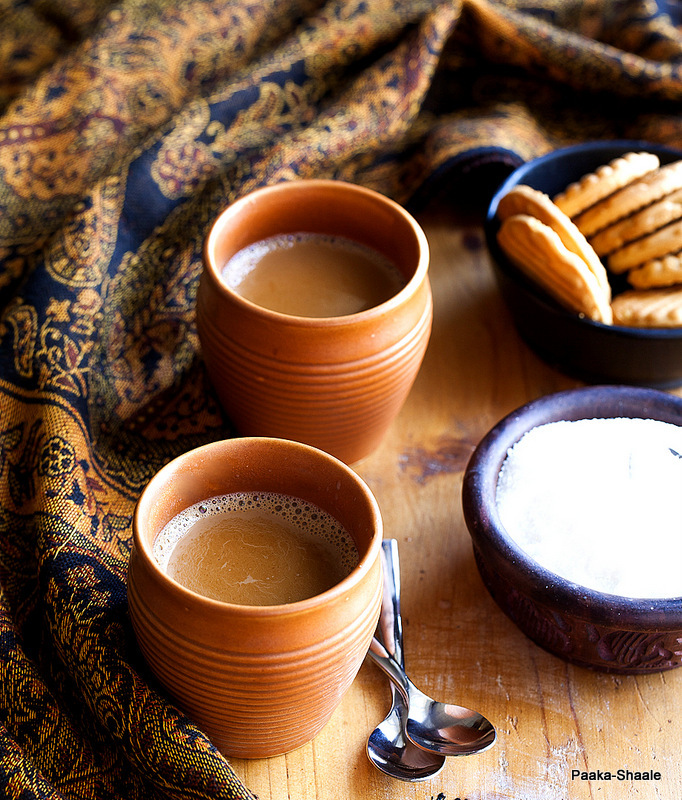 Since the season of winter is still going on, having ginger tea on a regular basis is on sure shot strategy to stay healthy. 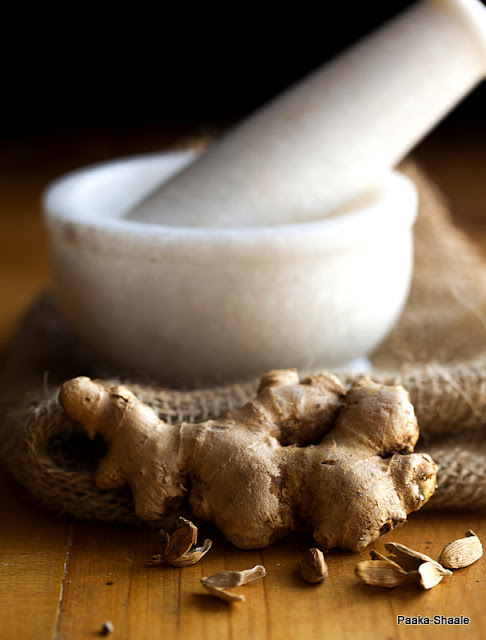 Ginger tea is one of the best beverages to have to prevent and cure colds and flus. Apart from this, ginger tea aides digestion and increases blood circulation. 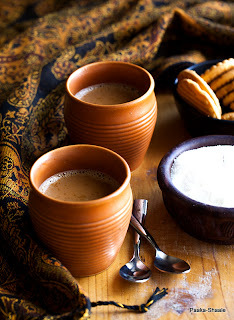 It is one of the most soothing and enjoyable winter drinks. The best part about humble chai is that, it can be made with the ingredients that is readily available and it can be made fast without any fuss. 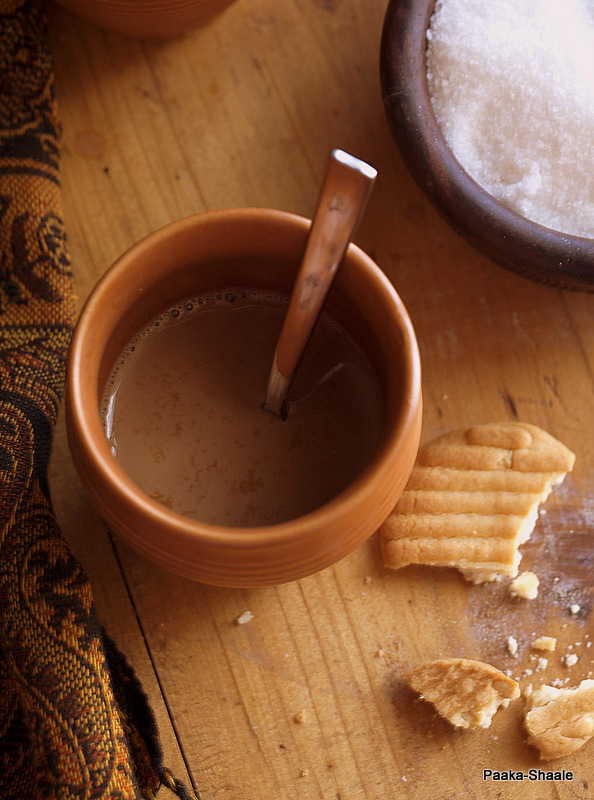 A hot cup of tea along with some good day biscuits can warm up the coldest of winters. Ginger tea aka adrakwali chai is my go to drink during cold days. What's yours? Add the tea leaves and sugar and allow the mixture to simmer for 5min. Strain the tea and discard the tea leaves, ginger and cardamom. 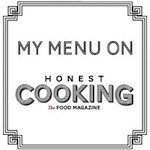 Serve hot with crackers or biscuits of your choice!! This winter beverage is my entry to Sayantani;s lovely event and cuponation give away!! 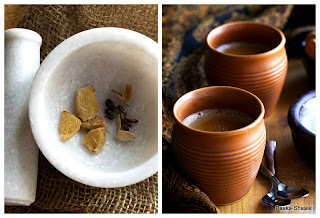 beautiful clicks... tea with ginger n cardamom are the best..
Nice, hot & comforting..Now this will be this weekend`s treat to myself..Lovely presentation Nandita..
My day cannot start without these! and those cups are amazing props.